In response to the invasion of Kuwait by Iraq on 2 August 1990, the international community organised a counterattack: the Desert Shield operation which mobilised more than 16,000 French soldiers. France sent its Daguet Division, which mainly comprises the 6th light armored division which has more than 14,500 troops. 1. 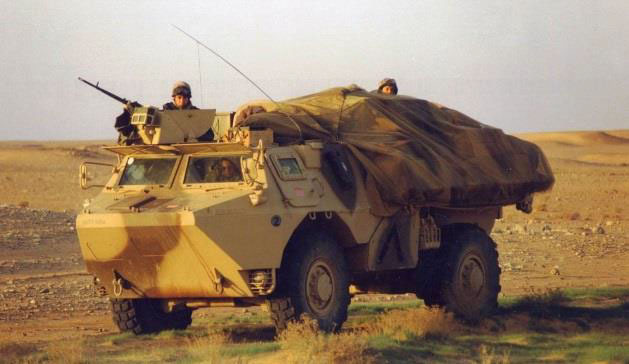 The VAB Rang “Its excellent resistance to impacts and mines made it the “battle taxi” of the French Army”. 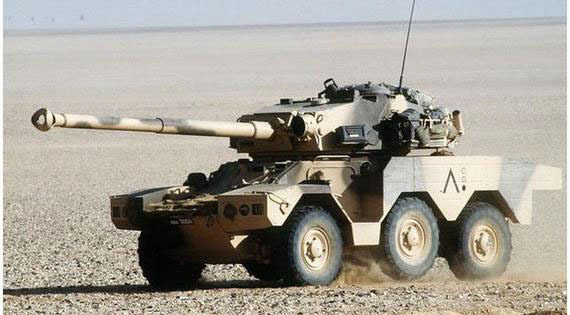 The Desert Storm offensive was launched on 17 January 1991 and ended with a cease-fire on 28 February. The Daguet Division demonstrated its offensive capacity and its good resistance in a hostile environment. Numerous vehicles participated in the operation including the P4, the VAB, the ERC Sagaie and a large variety of trucks. 1. The ERC Sagaie “At the heart of the Daguet Division, the ERC 90 Sagaie was deployed by the 4th squadron of the 1st Parachute Hussards Regiment”.